Mytee Products recently introduced a line of truck tarps made of parachute fabric. Our parachute/airbag tarps are a great alternative to both canvas and vinyl thanks to their lower weight and greater strength. We would be happy to answer any questions you have about these tarps prior to purchase. In the meantime, we thought a basic introduction to parachute fabric was in order. This guide should help you to better understand the fundamentals of parachute fabric and why it is such a great option for truck tarps. 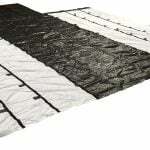 Feel free to browse our complete inventory of parachute/airbag tarps if you are ready to buy. Contrary to common perceptions, parachute fabric is not a specific type of textile. Manufacturers can choose any number of textiles to make parachute fabric. Most frequently used textiles include canvas, Kevlar, nylon, Dacron, and silk. Our parachute fabric truck tarps are made with ripstop nylon. • It offers an attractive strength-to-weight ratio compared to other materials. The strength-to-weight ratio is very important to truck drivers tasked with covering their own loads. As you already know, tarping a load is a lot of work – even under ideal weather conditions. Throw in a little wind and rain and tarping can become a nightmare. A lighter tarp is easier to handle and deploy under such conditions. Still, the driver does not have to compromise on strength with a ripstop nylon parachute tarp. • Strength – The strength of any material determines its usefulness as a truck tarp. Our tarps are made using ripstop nylon because it is one of the strongest options. It offers a rather high breaking strength that holds up well at highway speeds. • Tear Resistance – If there is one thing that truck drivers cannot afford during transit is a tarp that tears away. A good parachute fabric is extremely tear resistant. Even where a small tear already exists, it will not easily spread except under extreme conditions. • Elasticity – The elasticity of parachute fabric influences how easily it unfolds. This is key when a truck driver is attempting to get a load tarped as quickly as possible. With a flip of the wrist and a quick swing of the arms, a good parachute tarp will generally unfold without issue. • Low Permeability – Permeability is the characteristic of allowing liquids and gases to pass through a substance. Parachute fabric has low permeability, which is good for truck drivers. Tarps are intended to keep moisture and debris away. Parachute tarps do an excellent job. We are thrilled to have been able to add parachute/airbag tarps to our inventory. Doing so was yet another way for us to serve our customers with the latest and greatest products in the industry. We invite you to take a serious look at parachute tarps as you prepare to restock your truck this winter. Give them a try. Who knows, you may decide to never go back to vinyl or canvas after using a parachute tarp just once. Applying and removing tarps is part of the job for the flatbed trucker. It can be a bit tedious when the wind is blowing or loads have sharp edges to contend with, so the best thing any trucker can do in this regard is pay attention to what works for other drivers and learn the little tricks that make flatbed tarp application and removal easier. We have addressed applying tarps in other posts, however in this post, we will concentrate on tarp removal. Needless to say that most truckers get better at tarp removal with time and practice. Below are a few examples of little things you can do to remove tarps easily. After 500 miles of interstate driving, there is a big temptation to undo your straps, grab one corner of the tarp and start pulling. You may get lucky on a load that has no sharp edges and is not oddly shaped but more often than not, the “yank and hope for the best” method can cause more trouble than imagined. Before you do anything, your best move is to fold the sides of your flatbed tarp up onto the load. Folding creates a flat surface on the top of the load that is much easier to deal with. As a side note, you may have to get on the load to do this. Be careful. The second thing you can do to make your life easier is to move from front to back as you pull the tarp. There are two ways to do this. First, if you have someone willing to help, you can both grab a corner on either side of the trailer where it meets the cab. Then walk toward the rear of the trailer, pulling up and pushing forward as you go. This will essentially fold the tarp on top of itself as you pull it off the trailer. If you are working alone, start at the rear of the trailer and grab your tarp (with the sides already folded up) at the center. Slowly drag it off the load in an even, continuous motion. The idea behind both of these methods is to cause the tarp to move from front to rear across the top of the load, thus avoiding sharp edges that can rip tarp fabric. Experienced truckers know that getting some air underneath flatbed truck tarps can help considerably. This is obviously not a problem on windy days, but what if the weather is still or you in an enclosed terminal? Grabbing one corner of your tarp and flapping it a couple of times gets just enough air underneath to separate the fabric from the cargo. This will make dragging the tarp off a bit easier. New flatbed drivers tend to stay away from edge protectors unless they have reason to believe they are in danger of ripping their tarps. Why take the time to apply edge protectors if there are no real sharp edges? There is actually a very good reason: it makes tarp removal a lot easier. Edge protectors create space between your flatbed tarp and the cargo underneath. That extra space reduces friction and makes it easier for you to get the tarp off. Flatbed tarp application and removal are an integral part of the job for those who hauls flatbed loads. So rather than continuing to struggle, the trucker is better off learning all those little secrets that make tarp application and removal easier. Tarps and Straps: Above or Below? One of the questions we frequently hear from new flatbed truckers is whether to strap a load above the tarp or not. This question arises from the fact that new truckers see their veteran counterparts do it both ways. Some like their straps above the tarps; others like them below. But it is truly a preference thing. There is no single way to use flatbed tarps and strap systems as long as the load is protected and the tarps and straps survive the trip undamaged. What new drivers should understand is why veterans choose one set up over the other. They also need to know that the same driver may use different setups depending on the load being transported. It is like choosing between Kelley and Triangle truck and trailer tires – drivers make their cargo control choices depending on the loads they typically carry. There are two primary reasons you may see truckers apply their straps over the top rather than underneath their tarps. The first is to prevent the tarps from ballooning in the wind. In such a case, the load itself has already been secured underneath with either chains or additional mesh straps. The tarp has been applied only to protect the cargo from wind and road debris. This set up makes it easy to apply flatbed tarps with very little fuss while using straps to prevent ballooning. The second reason for strapping over the top of the tarp is to secure a soft load and preventing ballooning at the same time. A good example would be transporting crates of vegetables from a farm to the processor. Such a load is unlikely to be traveling hundreds of miles, so the driver is not worried about securing both the load and the tarps separately. He or she will just throw the flatbed tarp over the load, followed by securing each stack of crates – and the tarp at the same time – with a strap. Likewise, there are several reasons for applying straps underneath flatbed tarps. The first is to make sure maximum load securement is achieved. Sometimes a trucker will carry a load that does not conform well to tarping, so placing straps above the tarp would not provide the best securement. By strapping underneath, where straps come in direct contact with the load itself, the cargo can be made more secure. A tarp goes on top, secured at the corner and along the sides with bungee cords. Drivers may also choose to apply straps underneath in order to avoid loose corners flapping in the wind. They use the same setup as described above. Flatbed tarps are placed over the already secured load and held in place with bungee cords. Along the same lines, this setup is also preferred among drivers who do not like the visual presentation of exterior straps. Lastly, there are cases in which the driver really has no choice. Drywall is a great example. Most drywall shippers tarp their loads in the shipping yard so that there is never a question about the drywall being protected. All the driver has to do is to secure the load to the trailer and pull away. Regardless of how you decide to use your tarps and straps, Mytee Products has a full selection of both. We also carry a full line of cargo securement supplies, tires (including 11R22.5 and 11R24.5 truck tires), tarping systems and accessories, portable carports and storage structures and, of course, a full line of steel, lumber, hay, and mesh tarps. If you need it, we have it. America’s over the road truck drivers have three primary kinds of work to choose from: refrigerated (refer) hauling, dry van hauling, and flatbed hauling. Few drivers would argue that sometimes flatbed truckers have the most challenging of roles to fulfill. The primary reasons arises when drivers have to drive in extreme weather conditions and gauge what changes in climate at their point of destination. The secondary reason could be that an inexperienced driver would not be knowledgeable enough to utilize his tarping gear to secure the cargo and have a safe trip. •Steel Tarps – steel tarps are the most commonly used in flatbed trucking. They are quite large and generally flat and rectangle so that they can be used to cover virtually any cargo. The average flatbed trucker will own several of these, all stored in a utility box or a rack behind the cab. •Coil Tarps – coil tarps are smaller tarps designed primarily to cover loads of coil, cabling or other similar products. A good coil tarp is dome-shaped in order to accommodate the coils with a tight fit that reduces drag and flapping. •Lumber Tarps – lumber tarps can be a bit more challenging to apply as they are the heaviest and due to their side and back flaps. Lumber tarps are designed in this way to protect an entire load from top to bottom. •Smoke Tarps – The smallest in tarp family are smoke tarps. These are used at the front of the load when the load requires protection from exhaust. As they are smaller, these can be applied quickly and easily. Based on these four choices, that the means of covering a load are not universal. A driver must assess each load to determine the best way to protect it. Then comes the crucial process of applying and securing tarps. For drivers to do a good job of securing tarp over their cargo, one must consider the profile of the driver.Those who choose flatbed driving as a career have the ability to think of solutions to a problem ( weather, load size etc) and also have the physical disposition to haul an average tarp that generally weighs between 50-100lbs. If the world were perfect for flatbed truckers, every load would come already secured and covered with a tarp. The driver would simply hook up and go. However, in the world of a flatbed hauler, tarping a load is an art that requires masterful skills. A good example would be to consider, tarping loads that are too fragile for the driver to walk on. Just how does one tarp these kinds of loads? The simple answer is : Very carefully. The reality of the situation is that, shippers who routinely deal with fragile or oversized loads tend to invest in a tarping machine that essentially eliminates the labor intensive element of applying tarps. Shippers without machines may have their forklift operators lift tarps and drop them to the top of the load. And, then there are those shippers who leave it completely upto the trucker. These are the ones you to be concerned about. The harder it becomes to cover a load, the more grueling a trucker’s job becomes. Here is a list of tips for covering those fragile loads a trucker needs to secure yet cannot stand on. The most important tip for loads that require tarps is that, the driver should be well versed with the legal tarping guidelines which he or she may have learnt during their certification process. Some states give drivers the legal right to refuse a load if a shipper will not provide forklift assistance on a load that would otherwise be unsafe to tarp. Many fragile loads cannot be walked on and yet they tend to stack up high enough that, it would be quite impossible for a trucker to apply his/her tarps without some assistance. Knowing the law puts the trucker in a good position to protect him/herself when tarping and untarping. One way to compensate for fragile loads is to use several smaller tarps instead of one large tarp. The smaller tarps are easier to manipulate, especially when the driver is unable to get atop the load. Although the downside of this strategy is that it is time consuming, the flatbed tarps used, do secure the load very well. A bit of creative thinking and maybe a small investment would result in employing a pulley system to apply tarps, save time and ultimately secure a load. The easiest tip is the one many truckers find the most difficult: just asking for help. It should not take much time to find someone else who can help you get tarps up and over the trucks load. The most important thing to remember here is to find a person experienced with tarping a fragile flatbed load. Flatbed truckers are a creative group that can usually find a way around even the biggest challenges. When those challenges include loads that cannot be walked on, alternative means need to complete their jobs – apply tarps efficiently and effectively to secure the load.